For as long as I can remember, I've always been a positive person. I've always been the type to be nice, play nice, and believe the best in people. I do know that I am a softy and at times I've thought that it made me weak; to no be able to as strong as others and let my emotions get the best of me. But as I've grown and gotten older I've learned that being an empathetic person is a crucial part of my existence. It allows me to sympathize with others and feel feelings that others can't or won't. I do understand that this isn't for everyone and so for that reason I've made myself steer clear of those who are opposite of me in the case that they don't believe in my character; that they see the negatives rather than the positives and choose to rain on my parade instead. Being the dreamer that I am, I choose to believe in the unseen. I put faith in the saying "anything is possible" because it is. In this world there are two types of people; the dreamers and the "realists." 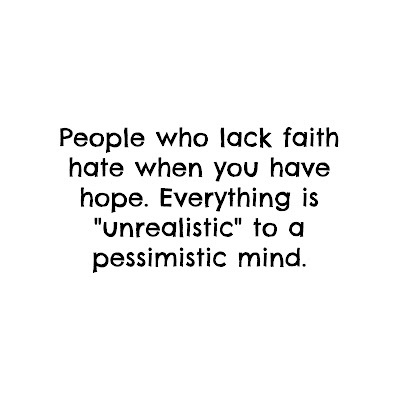 However, you're not considered a realist if all you care to see and talk about are the negatives. 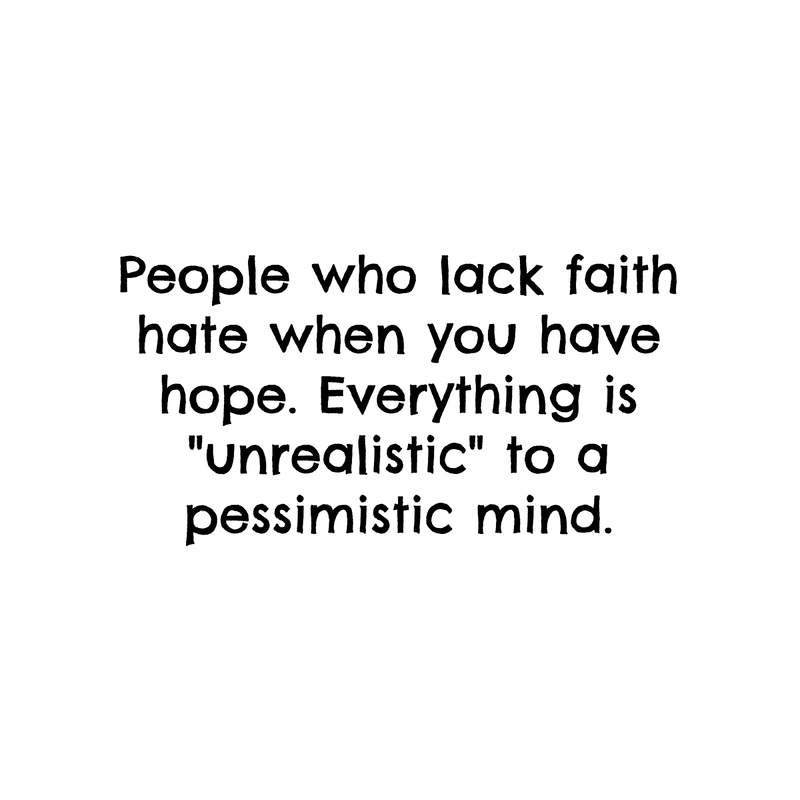 Those are the ones that I stay away from because they'll tell me to be realistic when I'm choosing to be positive. I can be realistic sure, but I refuse to be negative. And in doing so they'll object to my thinking and say that I'm reaching for the stars. But that's the whole point of life, to reach for the stars, to go for things that you're scared to go after. If your dreams and aspirations don't scare you then they aren't big enough. "Don't knock the dreamers and lovers just because you're too weak to do either."